Today, the Houston Fire Department and KPRC Local 2 kicked off the annual “Operation: Stocking Stuffer” Toy Drive. Toys may also be dropped off at all Firehouse Sub locations and Los Cucos Restaurants. Last year, more than 15 thousand toys were collected and given to several thousand families during the Outreach, Inc. Give-away. This year, the give-away will be held on December 22, 2011, from 8:30 a.m. until all toys have been distributed. The giveaway will take place at the New Light Christian Center located at 7317 E. Houston Road, 77028 near Ley Road in northeast Houston. Citizens should be aware that toys will be distributed on a first come-first serve basis so there is not a waiting list. Citizens may call 832.394.6632 for this information in English and Spanish. I had a great time meeting everyone who stopped by today to make a donation! A special thanks to the guys/gals at Station 2 for all of your help, Los Cucos for the great tasting flautas and to Blue Bell, always a treat! Chief Garrison and Assistant Chief Campbell, thank you for your time and for being such great partners with us. May you all have a blessed holiday season! Bringing Hope to the Table : 3…2…1 CAKE OFF!!! Every year, Kroger and The Houston Food Bank work together to raise money to feed those in need. They put on a fun event; pairing up local “celebrities” with Kroger pastry chef’s to decorate cakes. This year (June 8th) there were 8 participants. We were given cake decorating supplies, a thick white sheet cake, an apron and gloves. We had thirty minutes to decorate with a Hope and Happiness theme or a Houston Food Bank theme. The $1000 was donated to The Houston Food Bank as well as money made from marked items in Kroger stores, bought by everyone during the month. As you can see I’m still working on my cake decorating skills…but I did win. First place for “best use of spacial relations.” At least the judges had a great sense of humor. That evening…I thought about the people who took me under their wing and I also thought about the children that I have tried to positively impact. A balance of love, discipline and education all come to mind when I think of what was important to pass along to them. 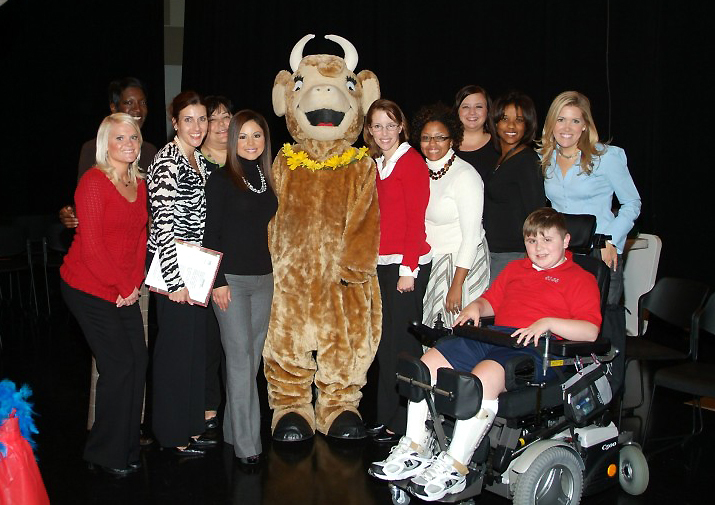 My “little” in the picture above is not with Big Brothers Big Sisters, but we are in line with their cause. We recently spent an afternoon together; one that we will both cherish for years to come. I surprised her with a trip to the Local 2 Studios. She was amazed to see hundreds of buttons, lights galore, the set, my office-everything! We still had some time to spare, so I thought she’s be thrilled to go to Chocolate Bar in the Village. Funny thing is…when we pulled up she read “Bar” and another sign that said, “Happy Hour.” So, she adamantly explained how she couldn’t go in with me. I started laughing because it was so cute and innocent. I explained that it was just a play-on-words and that it was only a dessert shop. Here, she is trying her first white-chocolate covered strawberry and in the next photo she’s ordering a chocolate bar filled with skittles, gummy worms and walnuts. I know….interesting combo for sure. Tasting her first white-chocolate covered strawberry! Ordering a giant sized chocolate bar. Here’s the news clip that ran Friday night as I emceed the 14th Annual Starlight Gala. 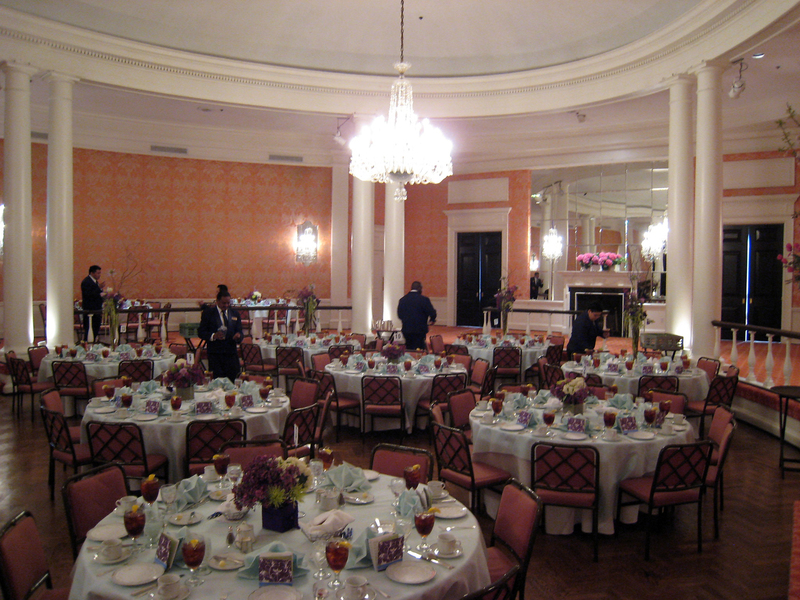 The black-tie event took place at the beautiful Rice Hotel overlooking downtown. I had a pleasant evening…meeting wonderful people who’s lives will forever be altered due to their illnesses. I met a father who had survived two different types of cancer. I couldn’t imagine what it had been like to hear the diagnoses and go through treatments – twice! He looked great though. I met a best friend who knew what it was like to have her friend go through treatment at a hospital. She shared a beautiful slide show and story with us. There were family members and supporters in attendance as well. It was a great honor for me to host such an important event. I hope that one day, we conquer cancer. The Jennifers…enjoying dessert, of course! This Friday, I have the pleasure of being a part of the 14th Annual Starlight Gala. The event raises money for the American Cancer Society. Tickets are still available…and you can always make a donation. Head to: http://community.acsevents.org entry for more information. Keep an eye on my blog and Facebook page for a write-up and pictures. 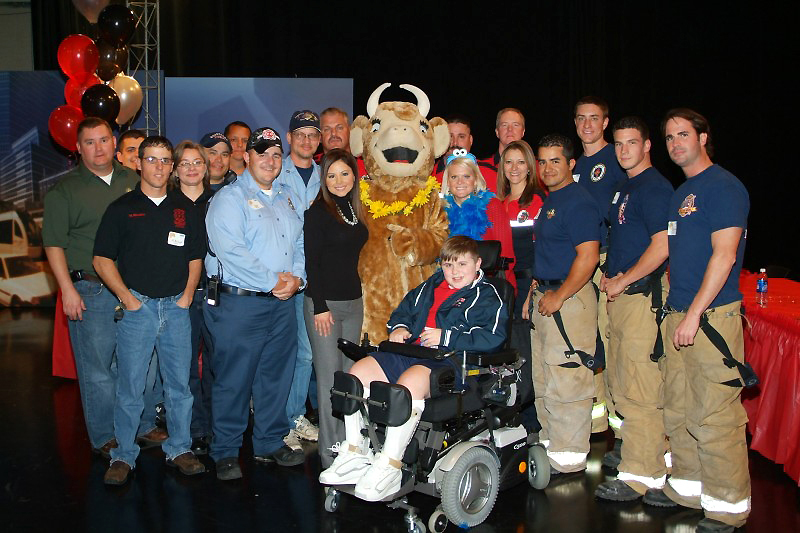 Firefighters and the MDA go together like milk and cookies….perfectly! 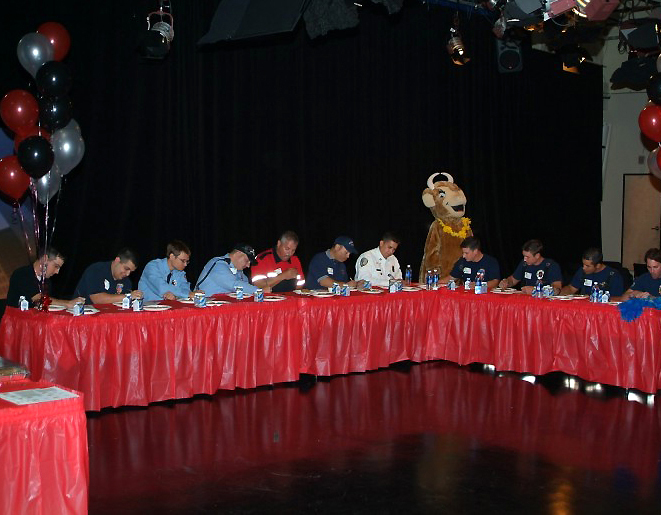 Monday (11/17), I emceed the 1st Annual “Cookie Throw Down.” The MDA staff baked cookies and firefighters from around our area donated their time to come and judge the baked goodies. Jennifer Walker is the community manager of The American Cancer Society for the Gulf Coast Region who invited me to emcee their Making Strides Against Breast Cancer event. It was held on Saturday, October 20th at Sam Houston Park, downtown. I rolled out of bed at 7am and arrived around 8am. They had about 3,000 people show up to walk the 5K, donating money for the great cause. I was impressed by the attitude of the survivors and of a surprise guest who made an appearance….a 90 year old breast cancer survivor!